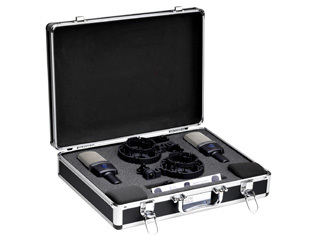 AKG microphones and headsets have been synonymous with excellence for several decades. In 1949, the first AKG headphones came on the market. 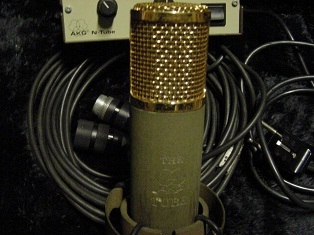 Then, in the early fifties AKG made a breakthrough with several new products: Totally new technologies, like the world’s first high quality condenser microphone, the D 12 with its cardioid characteristics, the world’s first remote-controlled multi-pattern capacitor microphone, the C 12 and the D 36 made acoustic history. One of the first customers of the famous C 12 microphone was the BBC in London. With its growing success, AKG also expanded geographically with a German subsidiary founded in 1955. By the end of the fifties, AKG’s worldwide distribution network had grown to other parts of Europe and abroad. In the sixties AKG successfully started exporting into former East block countries and Latin America. Concerned with technological quality, AKG focused on what it did best; high-quality audio transducers. The results were first-rate products in all categories. 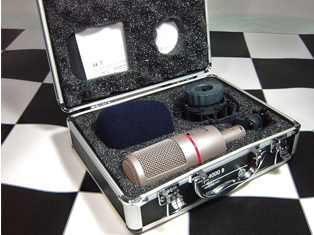 In the following years, AKG launched the world’s first two-way cardioid microphones (D 202, D 224) and developed the CMS modular condenser microphone system. The seventies began like the sixties ended at AKG; with continuous innovations. The company started in the seventies with the presentation of the BX 20, the world’s first, truly portable studio reverberation unit. In 1972, a special stamp by the British Post Office commemorating the 50th anniversary of the BBC showed historical microphones along with models from the AKG catalog. One year later AKG was granted its 1000th patent. At the same time the company presented the K 140 “Integrated Open” headphones. These were followed by more innovations like the AKG Transversal Suspension (TS) system, the world’s first two-way headphones, and the true vocal microphone line that firmed the high-quality international reputation of the AKG products. By the end of the seventies the first endorsement contracts were signed with Frank Sinatra, Roger Whittaker, Falco and other artists. 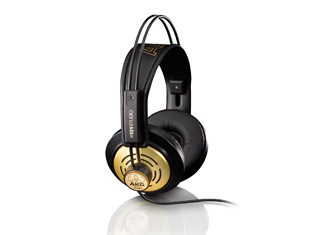 As the technological leader, AKG was first in perfecting the upcoming digital technology. The company used the first units successfully at the Moscow Olympics (1980). After this, the company continued with digital innovations like the BX 25 ED digital/analog reverberation unit or the large diaphragm stereo condenser microphones with advanced solid-state electronics. In 1984 AKG went public and started a new phase of enormous growth. In 1985 the US subsidiary of AKG was founded, followed by other expansions such as the acquisition of dbx Professional Products in 1989. The expansion continued through the beginning of the nineties with acquisitions in Great Britain, Germany and other countries. Expansion was also a key strategy with AKG products: In the beginning of the nineties AKG took to the stars when the “Audimir” space project used AKG products for room simulation in outer space. AKG continued its product expansion and success with the new generation of headphones called the K Series, the ergonomically-shaped, triangular-section Tri-Power Series dynamic musicians’ microphones, the AKG Blue Line Series modular microphone system, the new C 547 boundary microphone and C 621, C 647 “slim-line” gooseneck microphones for stage and installed system use. In 1994 AKG became a part of Harman International Industries, Inc. The following years brought a time of restructuring and sharpening of the product line and distribution strategy. 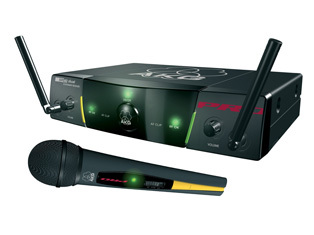 The wireless microphone line was extended with great products used on tour by Rod Stewart, Peter Gabriel and Simply Red. 1995 brought the introduction of the world’s smallest dual-diaphragm system in the world, the CK 77/C 577 – big in sound, smaller than a thumbnail in size, specifically designed for theater, TV and film uses. AKG also developed the new Performer Series … affordable microphones for Karaoke, home-recording and performing musicians. 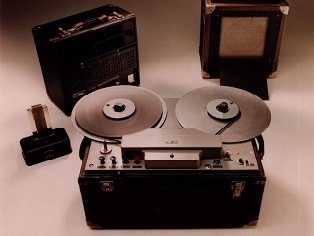 This successful path continued throughout the nineties: AKG presented product innovations like the WMS 60 Multichannel Wireless Microphone System, the AKG Hearo Series or the C 4000 B the world’s first dual large-diaphragm electret microphone. The new millennium started with an even stronger AKG focus on its core products. A new production strategy was implemented at the R&D headquarters in Vienna to strengthen the leading technology position of AKG in the world of professional audio. In 2007, AKG celebrated its 60th anniversary, but instead of looking back, AKG was looking toward to a bright future with additional growth. In addition to the development of new geographical markets, the focus will be on the strategic positioning of AKG in existing and new markets. To achieve these goals, the brand has been re-launched with a new corporate logo and brand image. 2007 saw the launch of many new and innovative AKG products. With these and many more activities, AKG hopes to continue to be world famous for its high-quality microphones and headphones within the professional audio-world. 1955: The first postwar Salzburg Festival (Austria) uses AKG microphones. A unidirectional microphone is specifically designed for Herbert von Karajan. 1955: Hans Hass uses AKG products to shoot his first underwater sound movie “Adventures in the Red Sea” which won first prize at the “Biennale” biannual film festival in Venice, Italy. 1972: A special stamp is issued by the British Post Office commemorating the 50th anniversary of the BBC showing historical microphones including several AKG models. 1991: AKG takes to the stars when the “Audimir” space project uses AKG products for room simulation in outer space (space station MIR). 1997: AKG Wireless Mics are used on the “Arctic Northeast” project for the Austrian Broadcasting Company, providing quality and reliable performance even at low arctic temperatures. 1999: Remix of Caruso’s voice is completed with Hearo 777s. 2003: Leading novelist Dan Brown mentions AKG headphones in two of his best-selling novels: “The Da Vinci Code” and “Deception Point”. 2006: AKG provides quality sound for the 2006 FIFA World Cup in Germany. 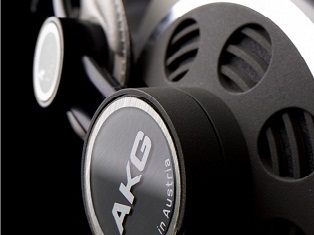 2007: AKG celebrates its 60th anniversary and starts the next phase of worldwide expansion. 2008: AKG is honored with Austrian Export Award 2008.